The surgical removal of two-thirds of the pituitary gland is associated with high initial remission rates and low operative morbidity in patients with suspected Cushing’s disease, when no tumor is found on the gland during surgical exploration. Cushing’s disease (CD) is caused by increased levels of glucocoticosteroids, such as adrenocorticotropic hormone (ACTH), circulating in the blood. In nearly 70 percent of cases this happens as a result of benign tumors on the pituitary gland, which produce excess ACTH. In these patients, the most effective and first-line treatment is surgical removal of the pituitary gland tumor. During the diagnostic stage, clinicians use several methods to identify and localize the source of excessive ACTH. But these methods can fail, and the presence of a tumor in the pituitary is not always confirmed. If the tumor remains unidentified during surgical exploration, it falls to the surgeon’s discretion about how to manage their patients. Researchers at the University of Colorado Denver School of Medicine provided an overview of their experience on the management of patients with presumed Cushing’s disease who underwent surgical treatment. The study, “Negative surgical exploration in patients with Cushing’s disease: benefit of two-thirds gland resection on remission rate and a review of the literature,” was published in the Journal of Neurosurgery. The team retrospectively analyzed all cases that had been referred to the Department of Neurosurgery of CU School of Medicine between 1989 and 2011 for a potential ACTH-secreting pituitary tumor. During this period, 161 cases of Cushing’s patients who underwent surgical tumor resection were reported. In 22 patients, the surgeon was unable to detect a tumor. In these cases the surgical team decided to remove two-thirds of the gland, with resection of the lateral and inferior portions of the pituitary. All 22 patients were treated using a consistent technique performed by a single surgeon. Posterior tissue analysis confirmed that six of these patients had pituitary ACTH-secreting tumors. In the remaining 16 patients, no tumor was identified. In three patients the team believed that overproduction of ACTH could be due to an overgrowth of ACTH-secreting cells rather than expansion. 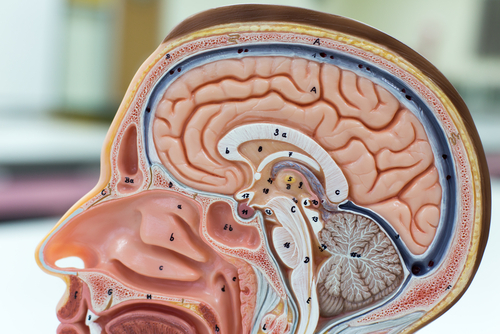 The team believes that these findings underscore the difficulty of accurately diagnosing very small pituitary tumors pre- and post-operatively. The 22 patients were followed for a mean time of 98.9 months, or 8.2 years. No remissions were observed in the six patients who had ACTH-secreting tumors or in 12 of the remaining patients. Blood analysis in follow-up exams confirmed these patients had normal levels of glucocoticosteroids. Four patients continued to show persistent elevated amounts of ACTH. Additional clinical evaluations revealed that two patients had ACTH-secreting lung tumors, and one patient was suspected of having an ACTH-secreting tumor on a brain region close to the pituitary. There was one case where the clinical team was unable to identify the origin of elevated ACTH. Only three patients required hormone replacement after the two-thirds gland removal to overcome a newly detected hormone deficit. The approach used by the surgical team was, overall, found to be safe with no severe side effects reported.